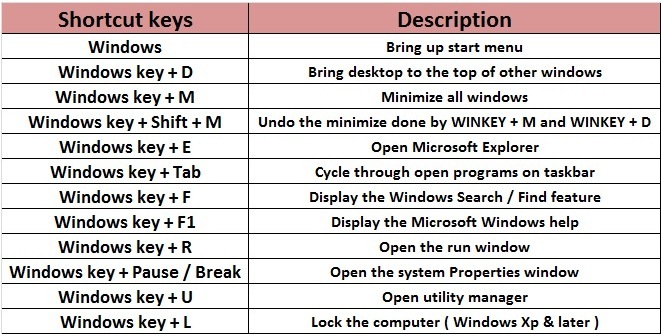 Computer shortcut keys provide an easier and usually quicker method for navigating and using computer software programs. 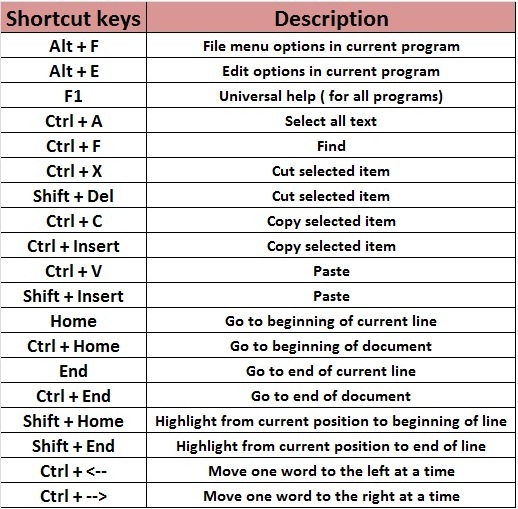 Shortcut keys usually consist of an Alt key, Ctrl, and/or Shift key in conjunction with a single letter. The de facto standard for listing a shortcut is listing the modifier key, a plus symbol, and the single character. Or in other words, “ALT+S” means that you need to press the ‘Alt’ key and while continuing to hold the ‘Alt’ key, you need to press the ‘ S’ key to operate the shortcut. 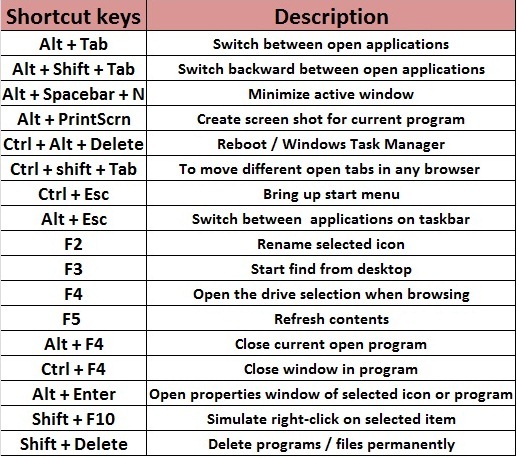 In addition to the shortcuts listed on this page, users can find the shortcut keys to their most popular program by looking for underlined letters in the program’s menus. For example, in the picture shown below, you can notice that the “F” in File underlined. You can press the ‘Alt’ key and ‘F’ to access the File menu. it’s really very nice and good to help our software’s thank you and keep it up.